Irish Artist Johnnie Lawson posted an eight hour video of a river on YouTube. The video has since gone viral and is helping people around the world deal with disorders like insomnia. 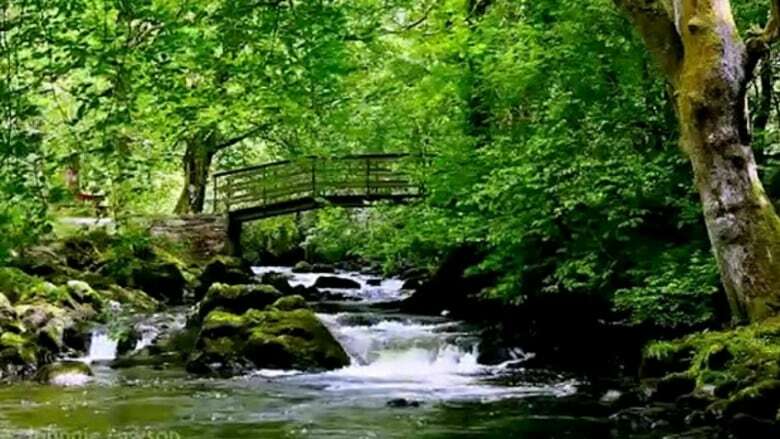 There is an old wooden bridge that crosses the bubbling River Bonet in County Leitrim, Ireland. It is a tranquil place--tucked away from the world--that few people know about. An Irish artist has posted eight hours worth of footage of the scenic frame to YouTube. The video has gone viral, with close to seven million views. "Leitrim is a very very beautiful place...It is unspoiled," Johnnie Lawson tells As it Happens host Carol Off. "I wanted to capture as true a sense of this space as I possibly could." Lawson's work is an example of slow television -- a genre of video that features ordinary events over a prolonged period of time. In this case, viewers can enjoy a bubbling river with birds chirping in the background. Lawson, however, says his video goes far beyond the aesthetic attraction. "I've gotten several requests from people who were suffering from insomnia. They wanted my calming sounds to be playing in their space," he says. "They've mentioned several times how peaceful a sleep they've been having as a result." It's not only people with insomnia he's helping. Lawson says people suffering from depression and tinnitus have also used his video. "There is a healing capacity within nature. They just let their mind wander and get away from the pain they might be in." Lawson has hundreds of similar videos on his YouTube channel. This video, however, is his most popular. People have been watching the video from all around the world. A couple of views have even come from the Vatican, he says. Lawson attributes part of the video's success to the fact that it's something everyone can appreciate. "I didn't want this to be elitist in any way," he says. "To me, this project had to be open to every single person on the planet regardless of their religion, nationality or language. It had to cross all borders and that was very important." These skeletons scared the bejesus out of a snorkeler. They turned out to be fake.